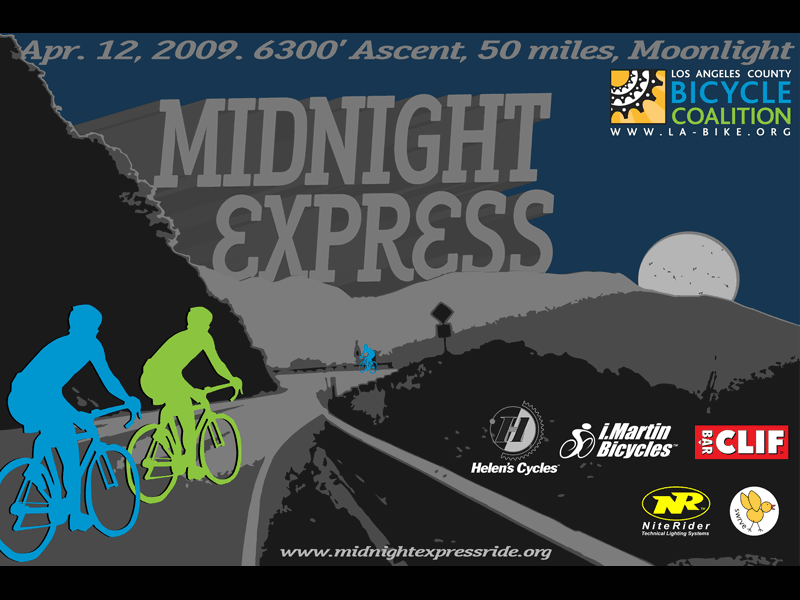 The Midnight Express Ride was a one-of-a-kind fundraising event staged in the Angeles National Forest, featuring 6,300′ of climbing in 50 miles under moonlight. 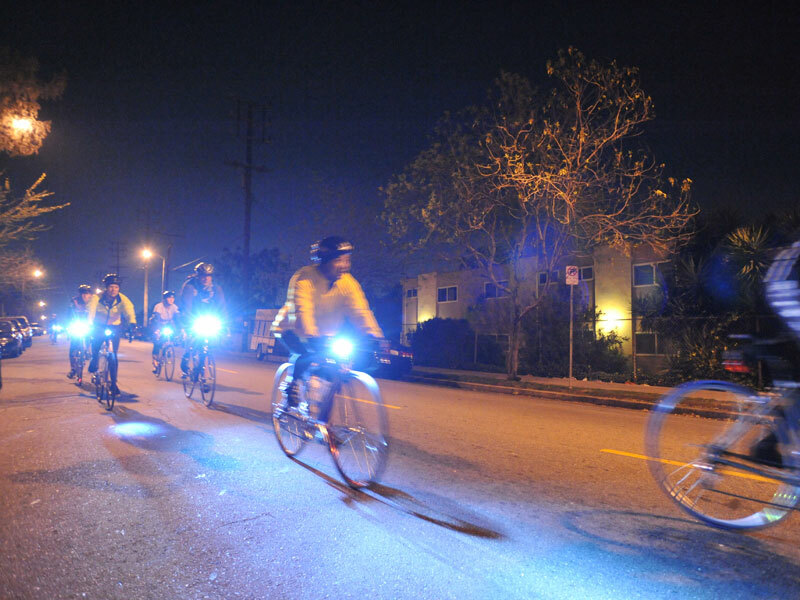 The Midnight Express Ride was conceived for the Los Angeles County Bicycle Coalition as a fundraising event that would appeal to riders who would otherwise not readily sign up for the River Ride. 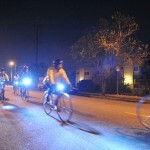 Taking place on the evening of a full moon, the route would take riders from downtown Los Angeles up through and over the Angeles National Forest and San Gabriel Mountain range to the town of Acton, which is very near the Antelope Valley community of Palmdale. 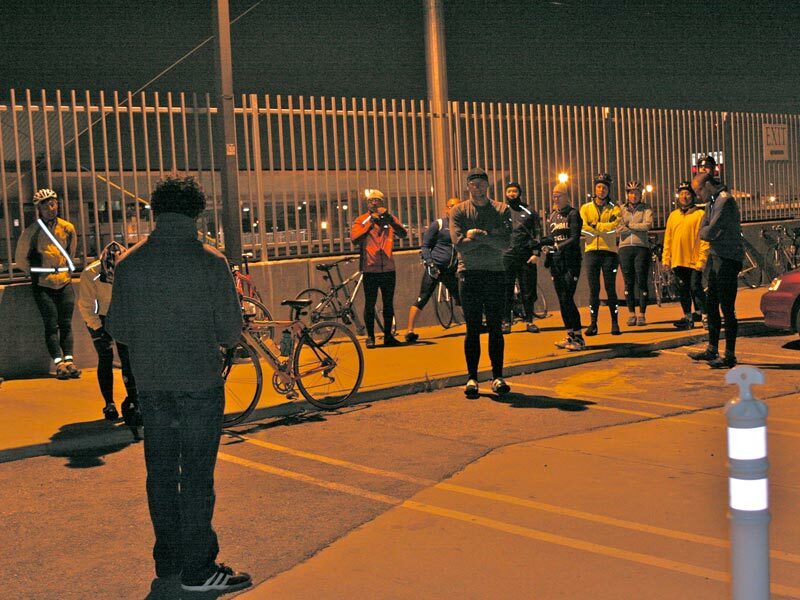 Upon arrival in Acton, riders were greeted with a warm breakfast, coffee, and other nutritious foods as they waited for the Metrolink Train to take them back to Union Station in downtown Los Angeles. 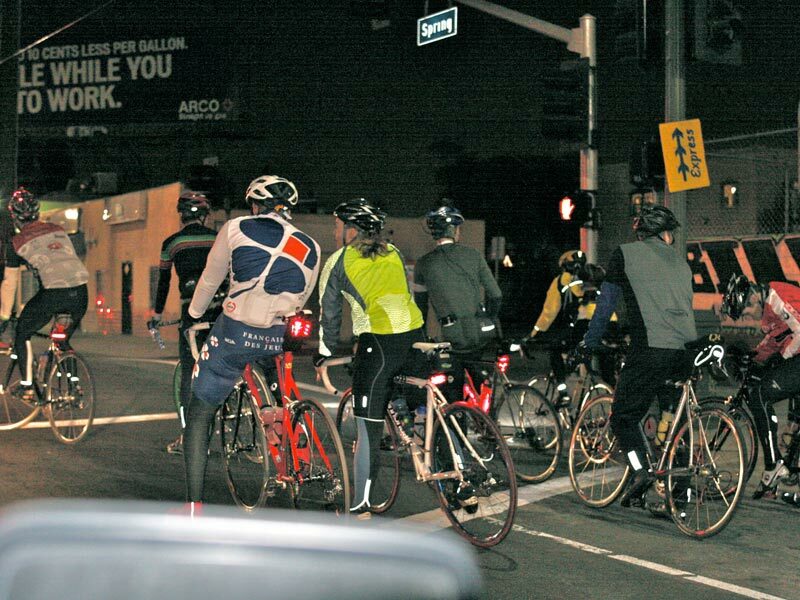 The event itself was originally planned for November of 2008, however during the day preceding the night’s ride local forest fires created exceedingly dangerous air quality conditions, forcing a cancellation. 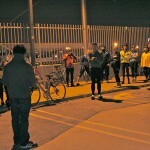 A reschedule to December was also cancelled due to storms and adverse weather conditions. 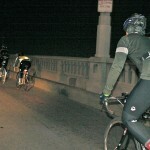 Ultimately the ride was schedule for April of 2009, in hopes that temperatures and storm conditions would be significantly better than winter months. Thankfully, it was: barely. 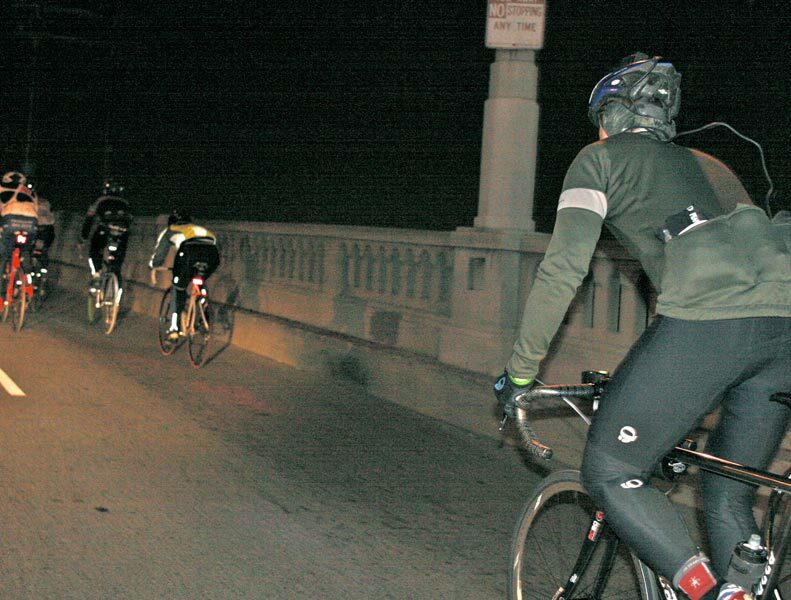 For the actual ride itself, participants braved temperatures hovering just below freezing as they traversed a challenging route from Union Station to Acton. 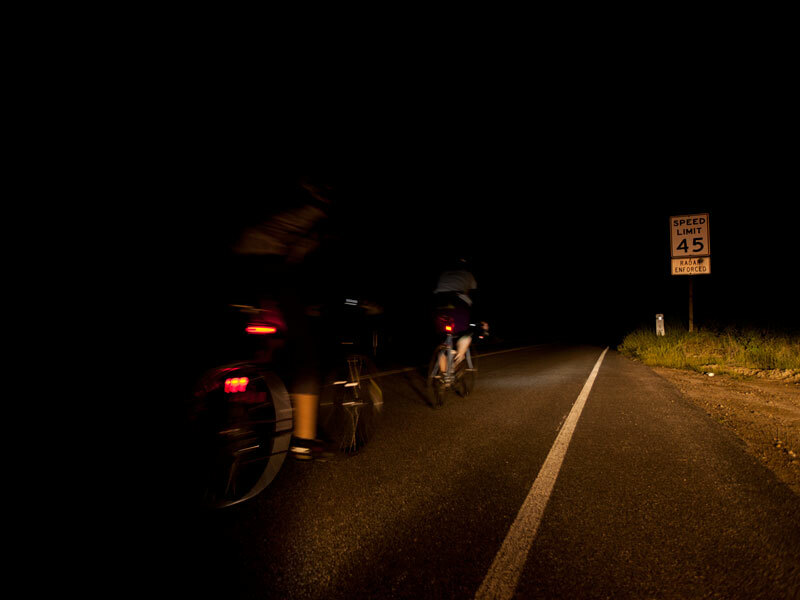 Despite the cold temperatures, rider feedback was fantastic: riding through the canyons and mountains of the Angles National Forest by moonlight on virtually empty roads was a a remarkably unique experience that was truly cherished. 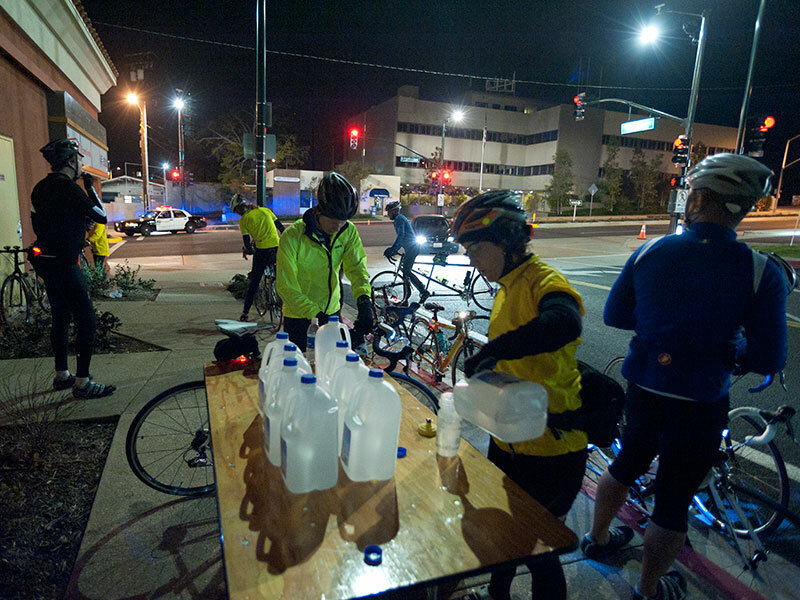 In the summer of 2009, a massive wildfire burned through the Angeles National Forest, with following weather storms creating a precipitation of catastrophic events that lead to significant landslides and road closures. 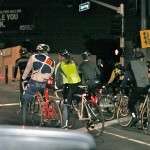 The main roads in the Angeles National Forest were closed for several years, the Midnight Express Ride was put on an indefinite hold for the future. 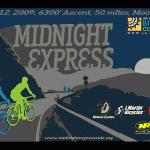 With the recent re-opening of a newly constructed Angeles Crest Highway, however, the Midnight Express Ride just may return to moonlight yet again!